This may be a veiled response to criticisms leveled against the beer when it was first launched earlier this year which noted that it was not especially stout-like in appearance or flavour. 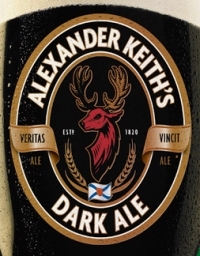 It’s also been speculated that this is a strategic move to compete more directly against Rickard’s Dark Ale which has just been launched by Molson-Coors Canada. Along with the new name, Labatt has made the previously draught-only beer available in 473 ml cans at the LCBO in Ontario. Details on retail availability in other provinces have not been announced.